Chilling out this summer will be a breeze with these tips for getting the most out of your cooling system. Summer may be lazy and hazy, but in many areas of the country, it’s also a time of sweating and sweltering in scorching temperatures. To cope, homeowners employ a variety of methods to ensure a steady supply of cool, fresh air. These cooling solutions include a wide variety of fans and in-home ventilation systems, as well as some tried-and-true techniques from the days before air conditioning. Here’s how to keep your whole home cool this season. By far the most common form of cooling in the U.S. is air conditioning, which can be found in more than three-quarters of all homes. Keeping the house comfortable this way, however, can be a costly investment in terms of both equipment and energy use — according to the U.S. Department of Energy, air conditioners use about 6 percent of all the electricity produced in the U.S., at an annual cost of about $29 billion to homeowners. So, it makes good sense to carefully evaluate your home’s cooling options to select the right system to meet your needs. No matter what unit or system you choose, adjusting your thermostat will make the biggest difference on your electric bill. Start by setting the temperature as high as you can while still comfortable, keeping the difference between indoor and outdoor temperatures as small as possible. Use the energy-saver mode on window units, and use programmable thermostats for multiroom or whole-house systems so your machines don’t do extra work to cool the place when nobody is home. When you’re ready to cool down, don’t drop immediately to a cold temperature — starting that low won’t speed up the cooling process, but it will make your machine work harder and expend more energy. If you want to offer your machine — and your energy bills — a little relief, proper ventilation in your home can certainly aid your cool-down efforts. Ventilation improves indoor air quality, removes moisture and odors, and exchanges stuffy indoor air for fresh, cool outside breezes. 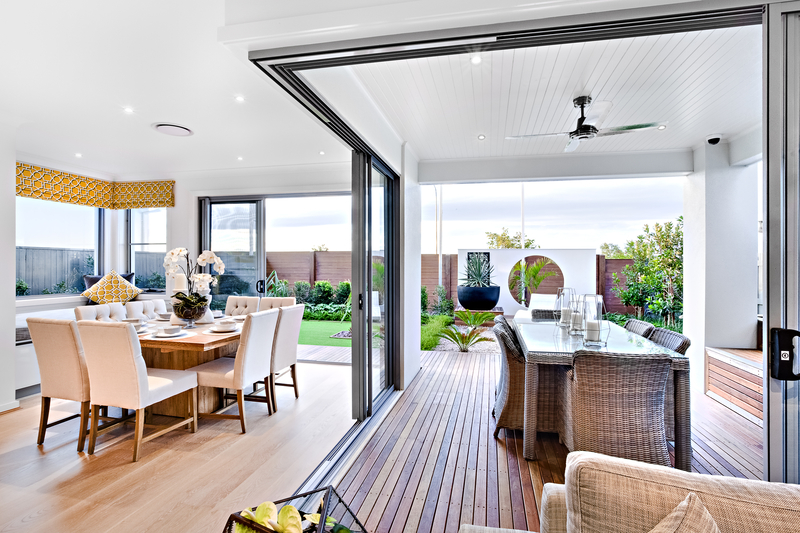 Start boosting your home’s natural ventilation by opening doors and windows, especially in the evenings. Encourage airflow by installing ceiling fans, window fans and attic exhaust fans to push hot air outside and draw cooler air into your home. In the summer months, run ceiling fans in a counterclockwise direction, drawing cooler air up from the floor. A whole-house attic exhaust fan will pull hot air into the attic, where attic vents can dissipate the heat. Even positioning a few portable fans near windows or a basement door at night can draw the cooler air from these areas into the home. Maximize the efficiency of your cooling efforts by performing proper maintenance. Seal the deal. Make sure you have adequate insulation in the walls and ceilings to keep hot air out and cool air in. Caulk leaking windows and doors, and use draft “snakes” to cover the gaps at the bottom of these entry points. Adding aluminum blinds, insulated curtains or window tint film can block even more sunlight from heating things up during the day. Change your filter. This quick and easy chore reduces the burden on your air conditioner, improves indoor air quality, and helps you — and your air conditioner — breathe easier. Check the filter once a month, and clear out any dust particles that might clog the system and force it to work harder and waste energy. Clean the coils. An air conditioner’s coils and fins on the outside of the unit should be kept unobstructed and cleaned regularly. Use a soft-bristle nylon brush to gently remove any debris, and hose off any leaves or caked-on dirt. Clean the inside coils using the soft brush attachment on your vacuum cleaner, or wipe them down with a soft, damp cloth. Call in a pro. Even though you can DIY most home-cooling work, it’s still important to regularly call a reputable HVAC contractor. An annual system tune-up can keep your air conditioning system working efficiently.